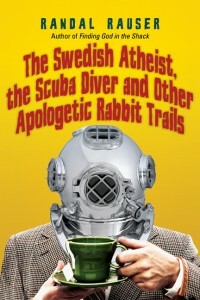 Some years ago the Jewish philosopher David Shatz wrote an essay titled “The Overexamined Life is not Worth Living.” That title could apply equally to chapter 31 of my 2012 apologetics book The Swedish Atheist, the Scuba Diver and Other Apologetic Rabbit Trails. The book features an extended Socratic-styled dialogue between an atheist named Sheridan and a Christian apologist named Randal. And in this chapter, Randal challenges Sheridan with a challenge: decide how you will, but realize that any choice you make involves a risk. And now without further ado, here is the chapter. Randal is speaking first. “Okay, imagine that you live in a small town on an island nestled in the shadow of a massive volcano. For several years there have been rumbles and shots of steam and ash as the volcano has continued to threaten an eruption. One day a visitor in a uniform with an identity card marking him as a government official announces in the marketplace that a massive eruption is imminent and that anyone who does not leave the island immediately will be killed by the blast. Unfortunately all the boats are out for a two-week fishing trip and the only way off the island is on this man’s boat. The problem is that by leaving the island you effectively surrender your ownership of your land and house—thus leaving it to be claimed by any squatter who remains on the island.